A cruise ship for all! While not everyone says they would enjoy cruising, this does not exclude them from having a perception of what it may be like. The ships are too small, too glitzy, too stuffy, too crowded. You get the picture. Put your feet up, relax and soak up the scenery as you glide down one of the United States’ greatest rivers. 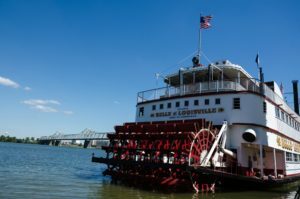 But more than that, this is also a chance to explore the Deep South. St Louis, Louisville and of course Memphis. A taste of America that few get to see. As for the boat, with excellent food, spacious accommodation and only 150 fellow passengers, this is far from a glitzy glamour cruise but still with the highest of service standards. 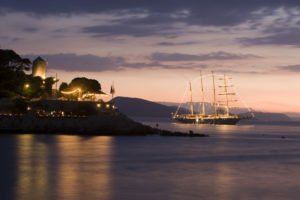 If you dream of a golden age of tall-masted clipper ships then this will truly be your heaven. Casual, but by no means lacking in refinement, the Star Clipper fleet, of which there are 3, will make you feel as if on-board a mega-yacht. 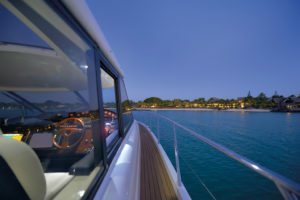 With nautical décor – rich varnished wood and deep blue upholstery, it may nonetheless surprise to find there is more open deck space than on many large cruise ships. Evenings are all about the fine dining, maybe a drink in the Piano bar pre-dinner or a cocktail to finish the day. Though they offer a truly varied itinerary, for me the image is either of island hopping in the Caribbean or arriving with true style and elegance into Monte Carlo. 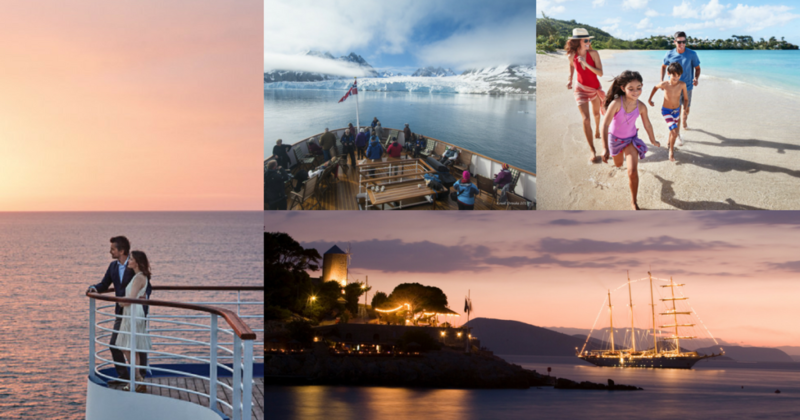 If you browse any Hurtigruten brochure, they describe theirs as voyages, not cruises. Comfy as opposed to luxurious, these expeditions are all about the destination and experience. There is a casual atmosphere on board and no scheduled entertainment. As for itineraries, those far off only-seen-on-the-tv destinations may finally become a reality. 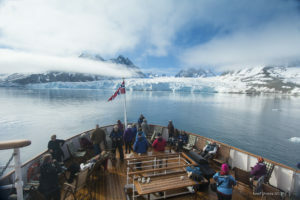 Circumnavigate Spitsbergen in search of Polar Bears; see colossal icebergs calve into the sea, explore long fjords, and witness the Midnight Sun in Greenland; or visit the planet’s last untouched continent, Antarctica – where you really can hear the sound of silence, marvel at the abundance of wildlife and even spend a night camped out on the ice. This really was one of my Journeys of a Lifetime. Despite the decommissioning of the Royal Yacht Britannia, it seems even the Queen was keen to introduce her family to the virtues of cruising. Back in 2010, for a mere (reported) £200,000, she chartered the luxurious Hebridean Princess for a cruise around the Scottish Isles. Once a car ferry, this tiny ship carrying just 50 passengers, is now the smallest luxury cruise ship afloat renowned for its exceptional service, fine food and understated elegance. With just 30 cabins, 10 designed especially for the single traveller, she was purpose-built for Scotland’s West Islands and able to access the remotest bays and lochs. And docking in Scotland, there is not even the problems and hassles of flying to meet the ship! Chartering a yacht is definitely the way to go for the most flexibility, you’re completely free to follow whatever itinerary you wish. Stay in Scotland like Her Majesty, or head wherever your budget will allow you to! If you would like to charter your own ship but have something a little less than £200,000 to spare, then maybe try Luxury Gulet Cruising in Turkey instead. With gulets ranging from 7 to 10 cabins, friends and family can experience complete freedom and flexibility. And with a Captain to guide the boat and a complete crew to sort the catering, it just leaves you to max out on enjoying yourself with lazy days and leisurely lunches and dinners! But cruising is not for families – how do we all fit into a cabin? 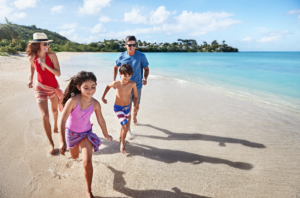 Families on cruises is fast becoming big business and cruise companies are all realising it. 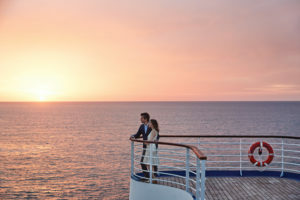 They are now paying more attention to the teen age group; Megaships, such as the Royal Caribbean fleet, have a myriad of activates for all the family; some are teaming up with well-known entertainment brands – such as Carnival and Dr Seuss Entertainment; and there are more dining options to suit families with children of all ages. With regards to cabins, Norwegian, Royal Caribbean and Carnival all have cabins that sleep up to five or six. And on price, many are now introducing FREE child places for children up to 18. However, for me, there really is only one choice – Disney Cruise Lines of course. You can pretend to go for the culture of the Med, or the turquoise blue of the Caribbean Sea, and you can even tell your nearest and dearest that you are ‘doing it for the children’, but just imagine bumping into Donald Duck or Mickey Mouse around the corner of your cruise ship? Now I appreciate that this may send shivers down many people’s spine – and not for the same reason as it does for me. But WOW!! So next time you think cruising is not for kids, whether young or old, maybe think again! And finally, one for those with time on their hands…..
See the world. No really, I mean, see the world. Many cruises you see will market long voyages as ‘World Journeys’, but without circumnavigating the globe you may feel that is cheating a bit! One that certainly is not is the 180 Day Voyage aboard Oceania’s Insignia. Departing and ending in Miami, you’ll start by heading through the Caribbean to South America, then on to Africa, then the Indian Ocean and Asia… I hope you will forgive me for not listing all the ports of call! For those more pressed for time, a lot of cruise companies will do voyages from 100 days or so – Take the Pacific Princess world cruise from Fort Lauderdale, heading through the Panama Canal, the South Pacific Islands through to Australia and New Zealand, then through Asia and up into the Med. The price for an interior cabin starts at ‘just’ £15,300, but when you consider that includes all of your travel between destinations and visiting all of those fantastic locations, food and drink onboard (including 24 hour room service), entertainment and shows, exercise classes, kids clubs and activities… It works out at just under £138 per night, which is incredible value for money!